The laundromat is located across from Patoka Station, on the east side of the road, where you'll also find most of the lodging, the restaurant, and Patoka Lake Winery. Located next door to the BBQ restaurant, near most of the land-based lodging and the Winery. 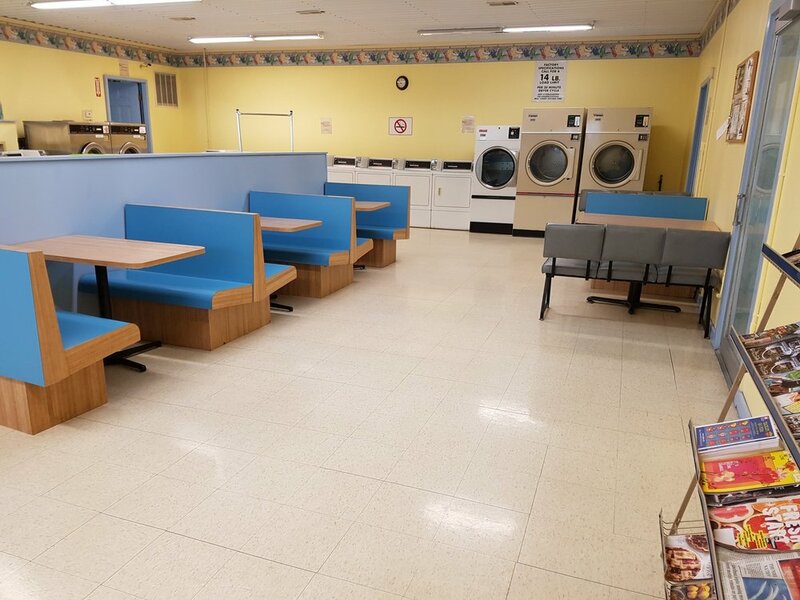 Coin laundry with plenty of washers and dryers (including industrial dryers), and a large folding table. Booth seating available (remember, food is right next door). Magazines, brochures and candy machines. Coin machine and laundry supplies available.